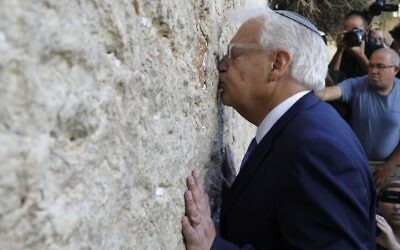 WASHINGTON — The White House on Monday said that comments from a US official who told his Israeli counterparts that the Western Wall is not part of Israel were “unauthorized” and do not represent the stance of the Trump administration. 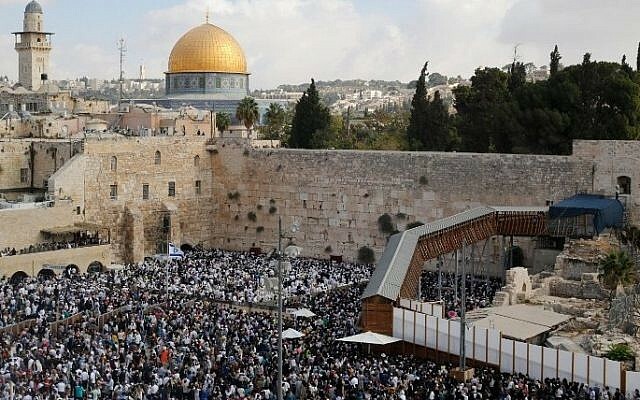 “The comments about the Western Wall were not authorized communication and they do not represent the position of the United States and certainly not of the president,” a senior administration official told The Times of Israel. In a bitter diplomatic incident, a senior member of the US delegation making preparations for Trump’s visit to Israel next week angrily rejected a request that Prime Minister Benjamin Netanyahu accompany the president when he visits the Western Wall, and then sniped at his Israeli counterparts that the Western Wall is “not your territory. It’s part of the West Bank,” Channel 2 reported Monday. 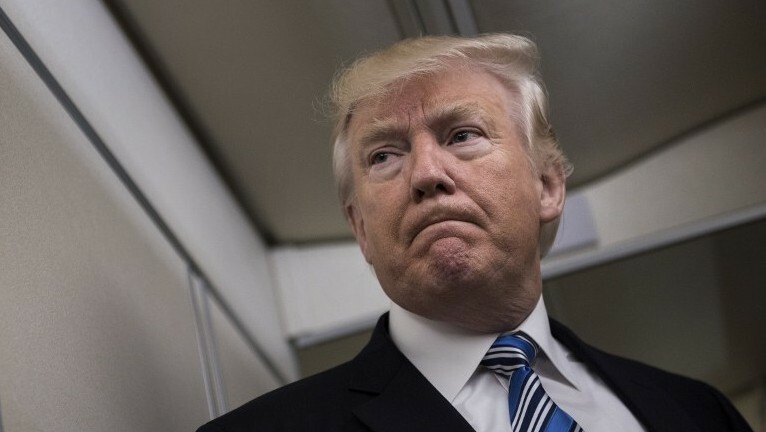 The angry exchanges, according to the report, began when the Israeli team working with the American delegation asked whether Netanyahu could accompany Trump when he visits the Western Wall, a key stop expected on his May 22-23 visit to Israel and the West Bank. 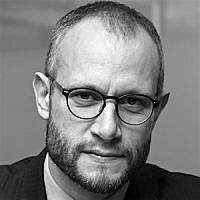 No serving US president has ever visited the Western Wall, because US policy has been that the final status of Jerusalem has yet to be resolved in Israeli-Palestinian negotiations. The US team reportedly rejected the request for Netanyahu to join Trump, saying it would be “a private visit” by the president and that he would go on his own. The Israelis then asked whether a TV crew providing live coverage of the Trump visit could at least continue to film there. An official at the Prime Minister’s Office confirmed the report, telling the Times of Israel that Israeli officials were “shocked” by the comments and have asked the Trump administration about the incident. The White House official did not say whether Netanyahu will be able to join Trump when he visits the Western Wall on his trip. 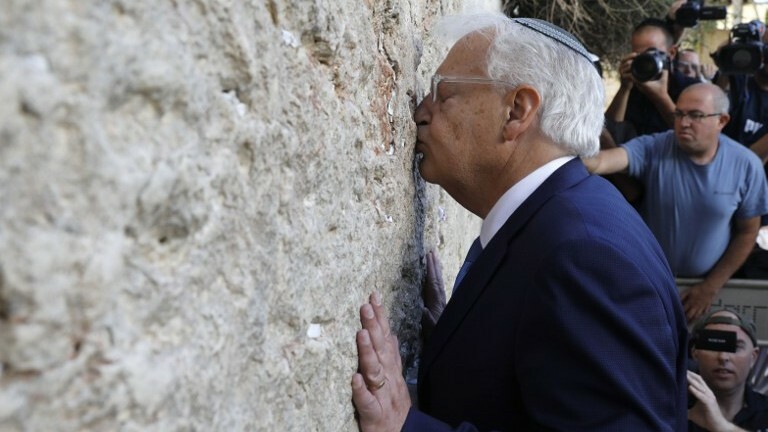 Ironically, the angry exchanges were reported soon after Trump’s ambassador to Israel, David Friedman, arrived in the country and went immediately to the Western Wall, where he said he prayed for the president and for the success of next week’s visit. 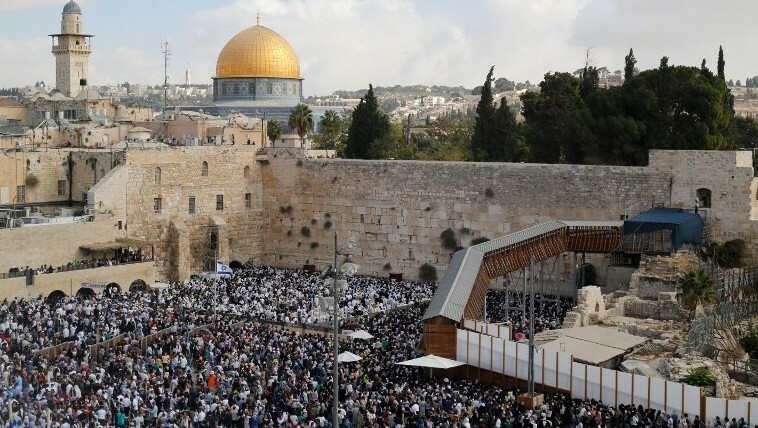 The Western Wall, part of the retaining walls of the ancient Temple compound, is the closest point of prayer for Jews to the site of the Temple itself and thus the Jewish people’s holiest place of prayer. It was captured along with the rest of the Old City and East Jerusalem in the 1967 Six Day War, and then annexed by Israel as part of its united capital — a move not recognized internationally. Trump’s visit to Israel will take place from May 22 to 23 — just before Jerusalem Day — after he stops in Saudi Arabia and before he goes on to the Vatican. He will also travel to Brussels and Sicily for NATO and G7 summits on the final leg of his trip. 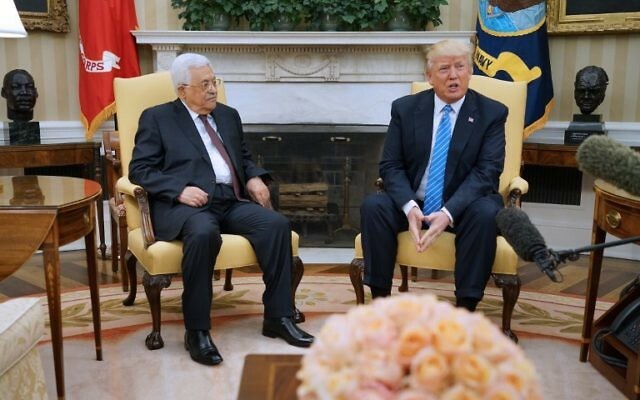 While in the region, he will meet with both Netanyahu and Palestinian Authority President Mahmoud Abbas, as part of his efforts to revive Israeli-Palestinian peace negotiations and strike “the ultimate deal,” as he has called it. 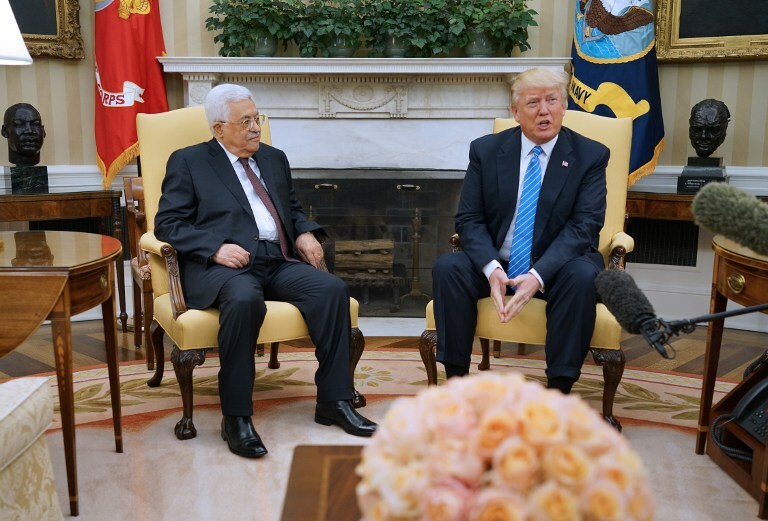 Trump has already hosted both the Israeli and Palestinian leaders at the White House. He’s also sent his Special Envoy for International Negotiations Jason Greenblatt to the Middle East to go on a “listening tour” and meet with various stakeholders in the conflict. Trump’s travel plans have spurred intense speculation over whether he would use the occasion to follow through on his campaign pledge move the US Embassy from Tel Aviv to Jerusalem and recognize the holy city as Israel’s capital. 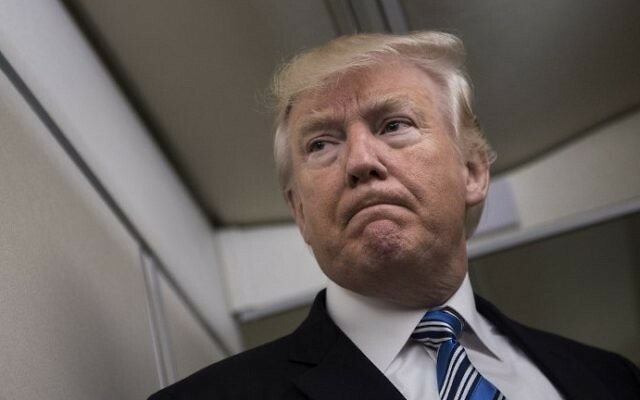 He seemingly backed off on this promise early in his presidency, but the White House told reporters last week that Trump “has not made a decision yet and is still reviewing that. Shortly after Trump’s visit to Israel, he will have to make a decision whether to not to waive a congressional mandate — passed in a 1995 law — to relocate the embassy, but allowing the president to exercise a six-month delay on national security grounds. The most recent waiver, signed by former president Barack Obama, expires on June 1. The leak of the incident over Trump’s Western Wall visit ignited sharp response from both Israelis and American Jewish leaders. The head of the Anti-Defamation League said the Trump administration needed to make clear its posture on the Western Wall’s status.